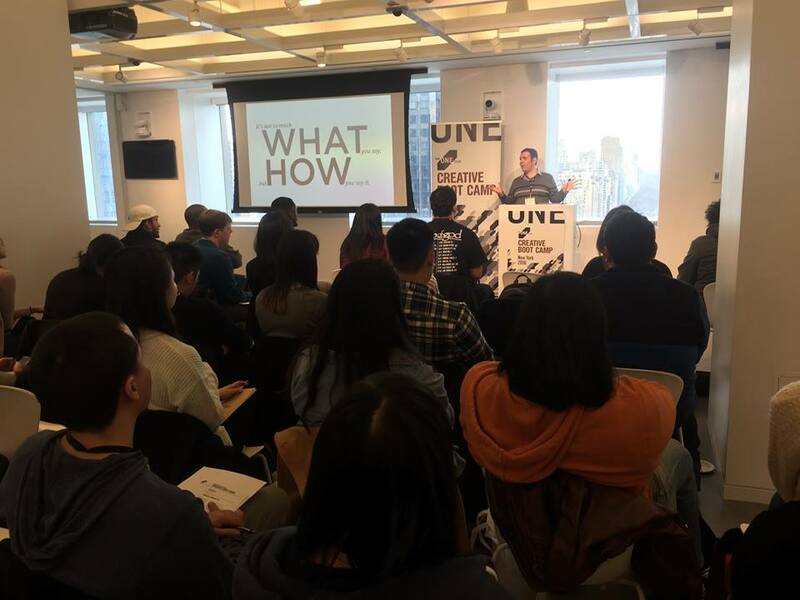 The One Club's Creative Boot Camp offers students from diverse backgrounds the opportunity to learn from and collaborate with the best agencies and creatives working today. 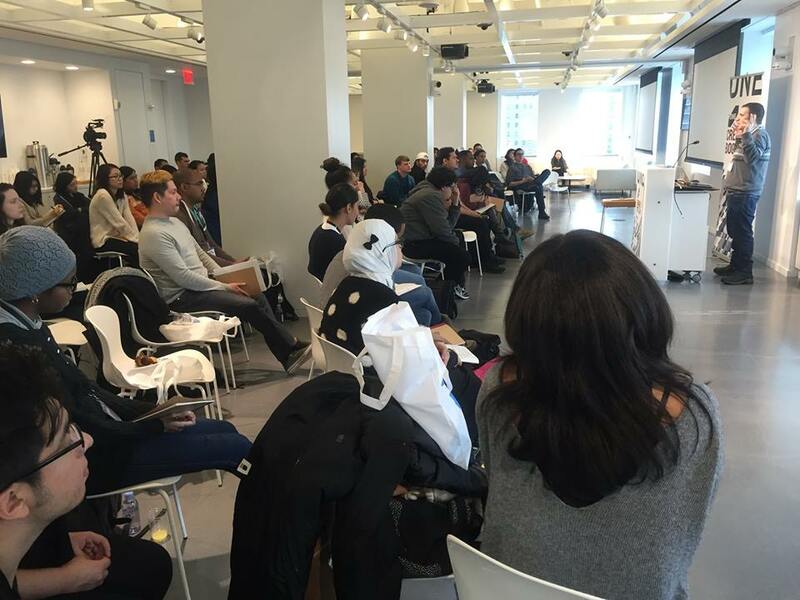 This year's first boot camp was hosted by Wunderman and took place in the company’s NYC headquarters, January 26-29. During the four-day boot camp, students get the chance to showcase their creative talents. Participants are introduced to the advertising industry, learn about the creative process, and ultimately create and present a campaign for a real client. Prof. Nancy Tag, BIC's program director, has been involved with the event since its inception and CCNY was fundamental in the creation of the boot camp. This year CCNY was represented by Prof. Gerardo Blumenkrantz, the BIC program's creative track director. Prof. Blumenkrantz shared a visual presentation on the importance of expressing a message in a memorable way, as opposed to simply stating it—which constitutes the basics of a creative's job. If you are a student interested in working in the advertising industry, The One Club is a great resource! There'll be more boot camps this year in other major U.S. cities. Learn more about The One Club’s inclusion and diversity programs here.